Almost exactly a year ago we released a 2xLP compilation featuring the best on tap from strange-music-overlords ZACHT AUTOMAAT. The first edition was in a pressing of 333. It sold out very quickly. We now have a 2nd press, in a limited hand numbered edition of 222. Don't wait, this thing is a monster. ORDER IT / LISTEN HERE. 'Walk through the luminescent sliding doors and feel the weight evaporate from your body. Step through the archives of time and look out at the glass walls that hold back the drifting stars. Notice the spectral starships crossing paths in the distant view. The cosmic residue of their flight path carries waves of sound as they intercept the room’s speaker system. A digital screen scrolls like a conveyer belt filled with passing phrases, “Ancaster Heights”, “The Smiling Wilderness”, “Disturbed Ground’”, the script runs endlessly. The words are given meaning as each wave grows to an audible strength. On the outside, the distant vessels can be seeing touching down near foreign embassies, welcomed by euphoric sounds. The speculation is confirmed. Our own takeoff has begun, bound for the farthest reaches of these celestial zones. Set yourself free and take in the spectacular view. This collection is a bag of magic borrowed from the enchanted hands of a band that evades hyperbole. Veterans of the interstellar scene, Carl Didur and Michael McLean have parsed the cryptex of popular music and entered into a new dialogue as Zacht Automaat. Adopting new methods and strategies, they have sewn together opposing forces before pulling them apart again to see all the pieces in a different perspective. 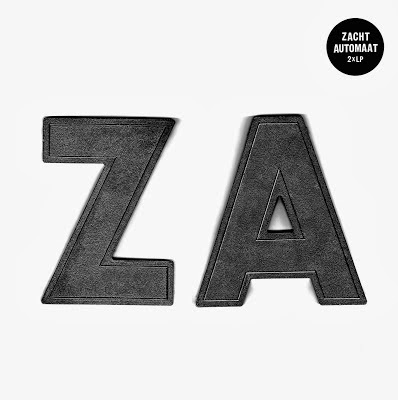 FOR DEEPER READING CONSULT SLIM TWIG'S PRIMER ON THE ZACHT AUTOMAAT DISCOGRAPHY HERE.